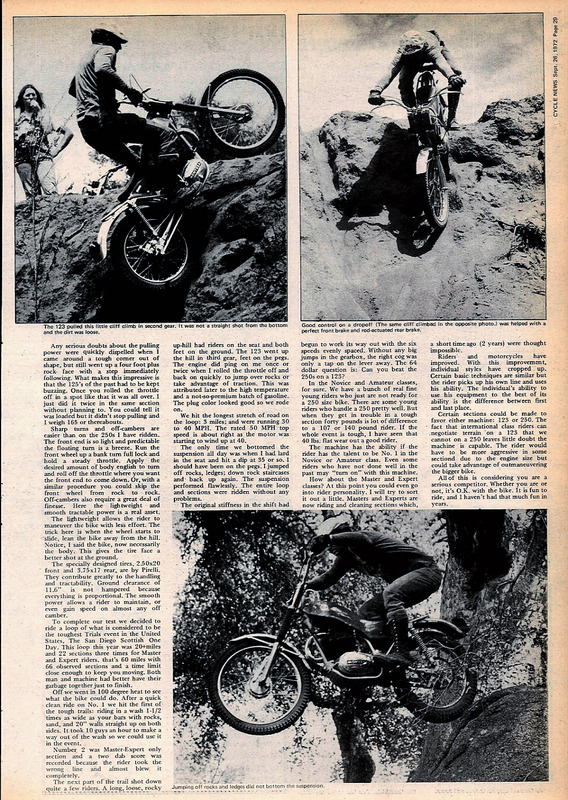 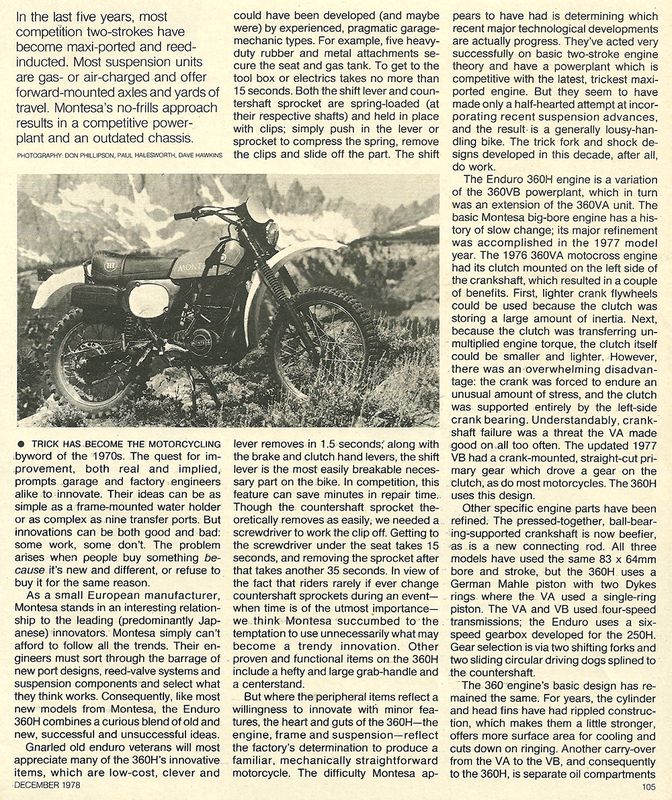 1972 Montesa 123 Cota Trials road test. 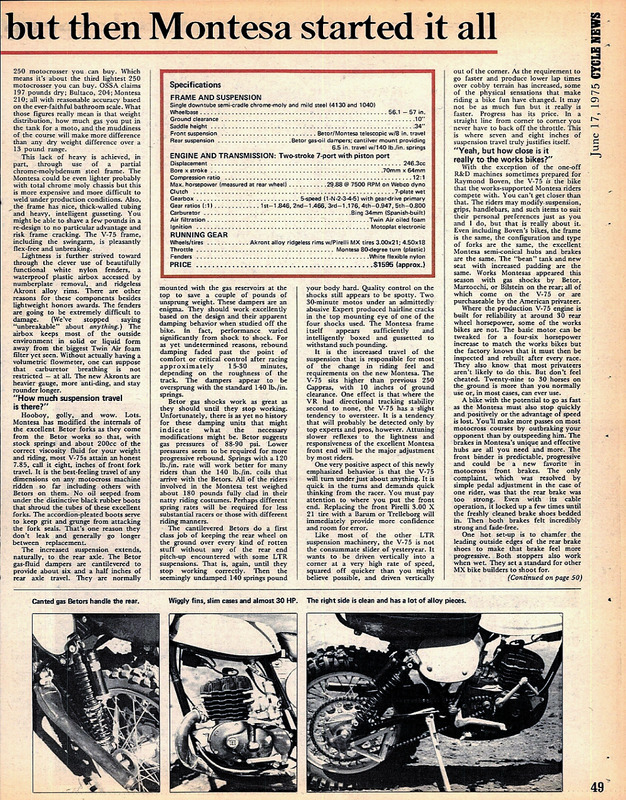 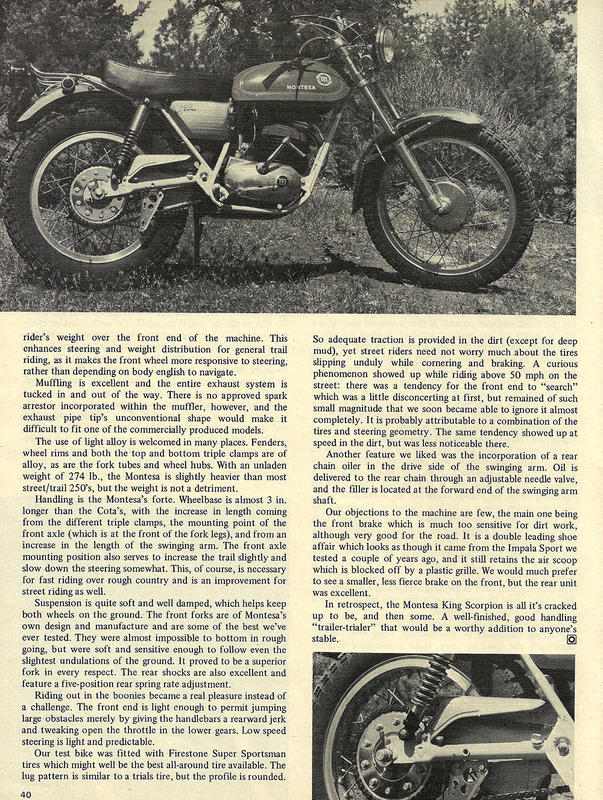 1975 Montesa Cappra V-75 ROAD TEST. 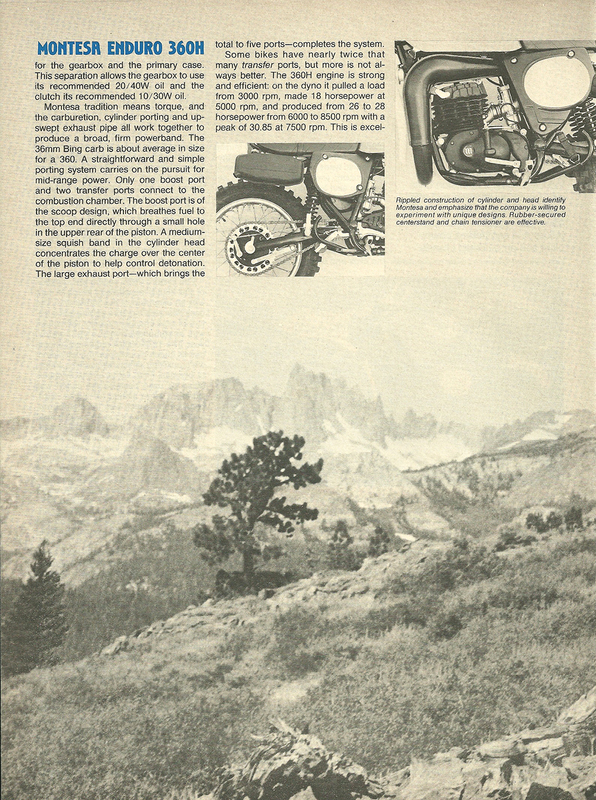 "The most fun you can have going slow." 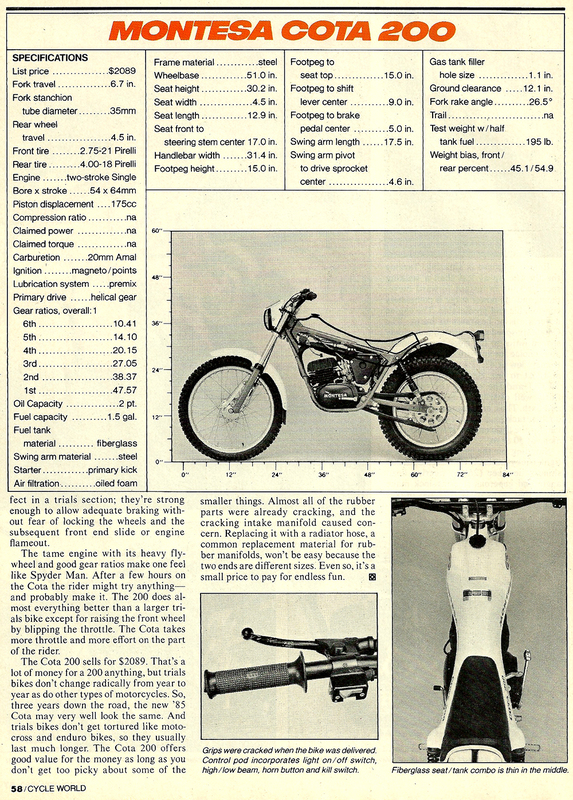 "In the last 5 years, most competition two-strokes have become maxi-ported and reed-inducted. 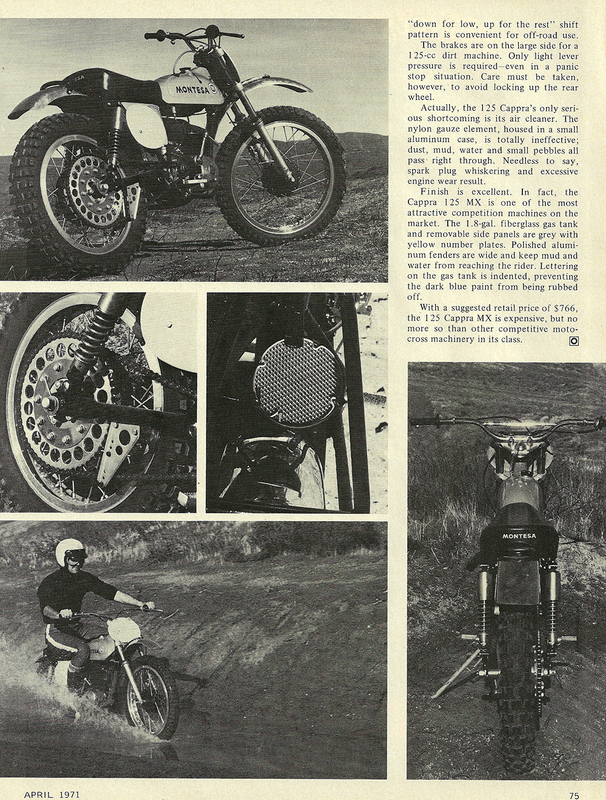 Most suspension units are gas- or air-charged and offer forward-mounted axles and yards of travel. 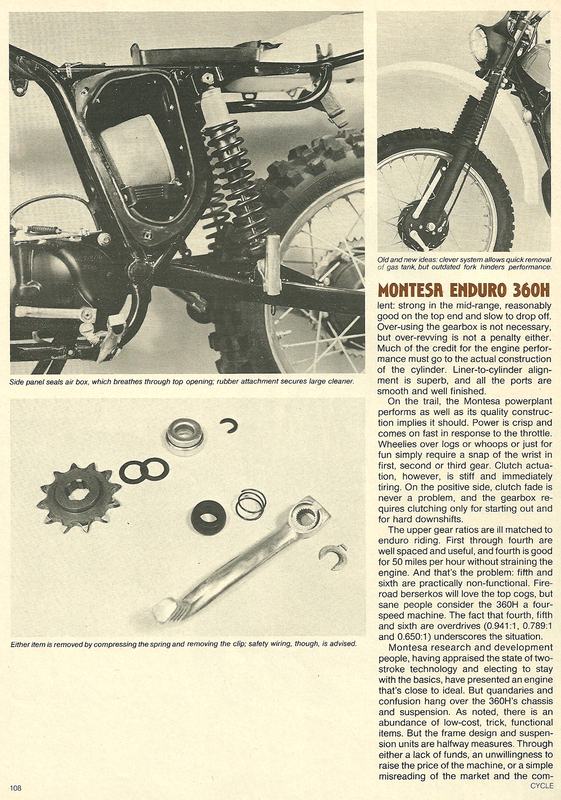 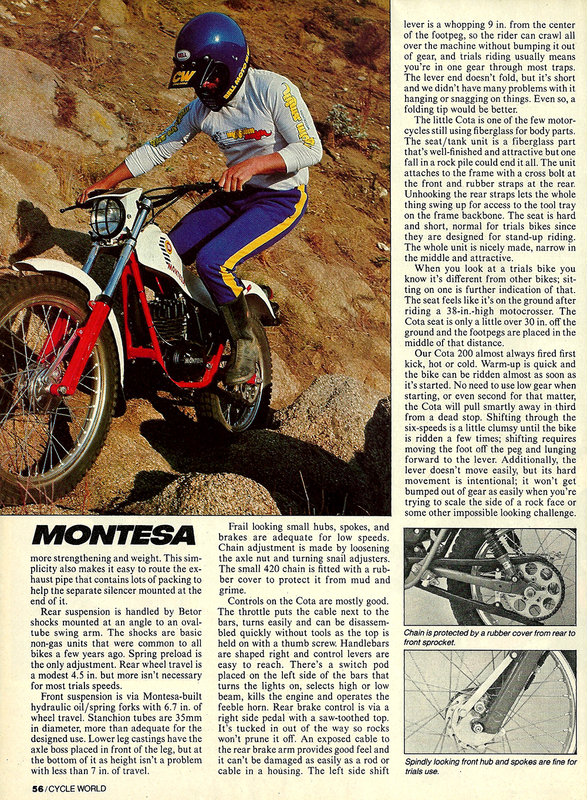 Montesa's no-frills approach results in a competitive powerplant and an outdated chassis." 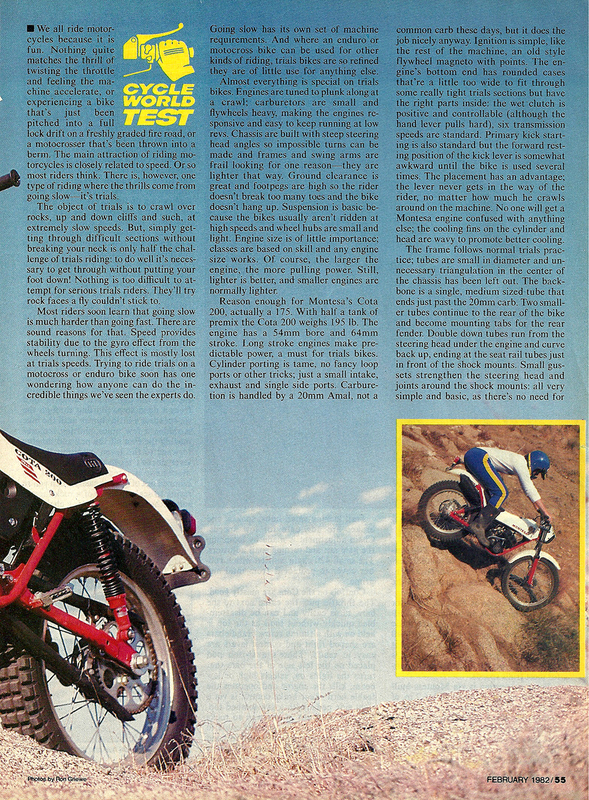 It leaps logs at a single tweak, is faster than a speeding Cota, softer on the posterior, but still feels like a trialer. 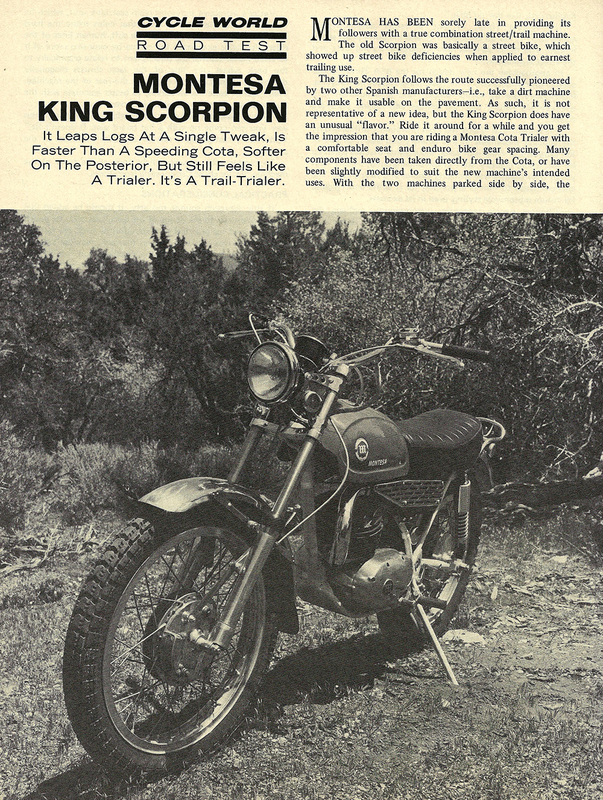 It'a s trail-trialer.